You should be responsible towards your own safety while playing any game. If a batsman forgets helmet, runner his shoes and footy player the mouth guard then there is a definite chance for an injury. According to sports Injury specialists, protective gear should not be ignored as they can save your limb as well as your life. Do not use same gear for different sport for example, cricket helmet and baseball helmet has different levels of impact protection. 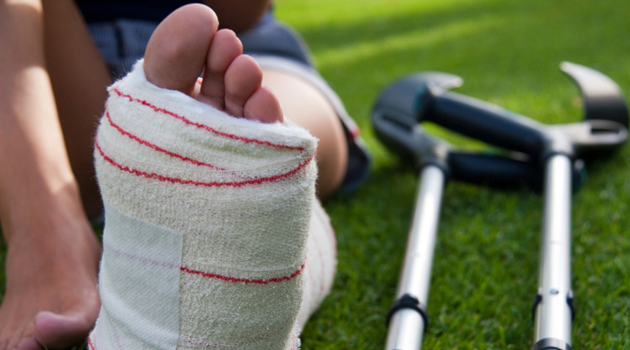 Right clothes and right shoes are also important to avoid sports injury. There are scientifically designed shoes for every sport today. Impact, hardness of surface and grip are important factors to be considered while choosing shoes. Warm up and cool down: whatever kind of sports you are playing, warming up the muscles is absolutely important according to sports injury podiatry in Runaway Bay. Whether you are attempting some low impact activity like yoga or high intensity 100-meter run, it is better for heart rate to go up gradually than being jolted into pumping hard.. Warm up should be low impact and controlled. Warm up increases flow of blood to the muscles gently and prevents premature fatigue. Cool down after playing sports is as important as warm up. Continuous physical activity cause lactic acid to build up in your muscles and gentle exercise can help you remove it and your heart rate will return to normal slowly. Playing sports in extremely hot conditions can be highly fatal and can cause sunstroke, sunburn and dehydration. Muscles become tighter in low temperatures posing the risk of muscle strain. Frostbite and hypothermia are the common risks associated with being exposed to lower temperatures. Sports injury specialists advise against playing any kind of sport in extreme weather conditions. Hydrate yourself: Properly hydrating yourself before, after and during the play is must. Water is no doubt best for hydration but in high intensity sports you might need to replenish necessary minerals lost through sweat. Sports injury podiatry at Runaway Bay suggest you to add glucose or carbohydrates in drinks for energy. Taking some basic precautions can definitely help you avoid sports injuries and enjoy an active lifestyle.